Drupal 8 sets a new standard for ease of use, while offering countless new ways to tailor and deploy your content to the Web. Drupal 8 allows user to easily customize data structures, listings, and pages, and take advantage of new capabilities for displaying data on mobile devices, building APIs, and adapting to multilingual needs. 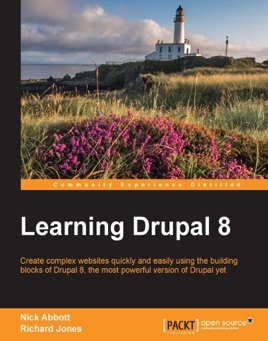 The book takes you step by step through building a Drupal 8 website. Start with the basics, such as setting up a local “stack” development environment and installing your first Drupal 8 site, then move on to image and media handling, and extending Drupal modules. Push your knowledge by getting to grips with the modular nature of Drupal, and learning to extend it by adding new functionalities to create your new modules. 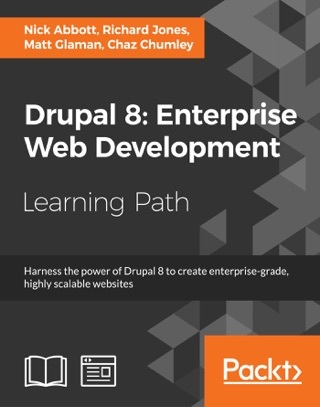 By the end of the book, you will be able to develop and manage a modern and responsive website using Drupal. This is an absolute beginners' guide, providing step-by-step instructions to help you learn Drupal 8 from scratch.